So you’ve heard about the world of CPA marketing and how you can make money promoting CPA offers on social media, forums and blogs as well as a multitude of ad networks and other traffic sources. You’ve felt the rush of excitement and your eyes light up when you tell your friends about your new line of work. You’re ready to jump in feet first and rake in the money while living the life of a super affiliate. CPA marketing can be an attractive business model for people who are just starting out in online marketing and for established marketers alike. Unlimited offers, fantastic ROI and long-term residual income all point to a super high earnings potential. Add to this a lack of consumer accountability and the flexibility to promote whichever offer you like, and it certainly looks as if you’ve found the winning formula. While being a CPA affiliate may look like an attractive gig from the outside, there’s no mistaking the fact that it takes a whole lotta work, planning and experience to succeed. Competition in popular verticals can be fierce and without being adequately prepared and having a strong understanding of the market, you’re gonna find yourself in deep waters. In this guide, I’m gonna take you through each step of the process from start to end, and by the time you’re done reading you’re gonna be fully equipped with the tools to accept the challenge head on! So, let’s look at what’s key when launching a campaign that’s set to convert, and also – share effective strategies you can employ right away. Affiliate marketing’s got crazy appeal to newbies because of its relatively low entry barrier. You don’t need a website or a business to start posting links and earning income. Neither do you need thousands of advertising dollars before the returns start showing up. That’s not to say all traffic sources are free. Native ads, for example, can be expensive to run but can also convert well, depending on the vertical (more on that, in a bit). CPA marketing is an affiliate marketing business model where you, as the publisher, get paid for actions the user takes on the advertiser’s product/offer. These actions can be capturing leads, filling out forms, product sales or anything else that results in a conversion for the affiliate. When you first register as an affiliate, you’re gonna receive your own unique tracking link through which you’ll promote the offer. Your job is to create campaigns on a traffic source of your choice and pass high quality (converting) traffic to the advertiser. You’re then gonna get paid a fixed value every time a user completes an action on the advertiser page – such as entering their details to win a sweepstake or to download a video. Because in theory, it is. But you’re gonna also need to make sure you’re targeting the right customer demographic for the offer. We can’t possibly stress this enough! Another thing you gotta keep on your mind, like 24/7, is optimization. It’s essential to constantly optimize your campaigns in order to ensure your ROI stays positive while maximizing your earnings per click. So, what should you optimize? Everything! Starting with the ad copy through to the landing page content and design. We’ll get there in a moment! Now, you’ve seen links from friends and family on Facebook, that offer a referral bonus for sign-up, right? The affiliate CPA niche is very similar to this and here at Mobidea we mostly keep our focus on stuff like sweepstakes, mobile content, coupons & vouchers, videos, games, and more. Once you become an affiliate and start promoting the advertiser’s products with our affiliate tracking link, every time a user performs an action, you’re gonna receive a fixed commission from the advertiser for growing their business via your cooperation with the CPA affiliate network. The sky’s the limit as to how much you can earn with mobile affiliate marketing, but to do that you’re gonna need a way to stand out from the crowd. For example, mobile CPA marketing is an extremely hot property right now and a relatively untapped market that you could use to reach a new audience. Planning your campaign to cover all angles is gonna make all the difference between a positive ROI and losing money, or worse – desperately hoping for a breakeven. You’re also gonna discover that certain offers allow different promotional strategies. We made a super thorough breakdown of the available affiliate traffic sources so you can start off a tat more prepared. Go check it out here if you wanna succeed as a CPA affiliate marketer. Anyways, rule number one is to always remember that there’s no such thing as a free lunch, and whatever method you choose to promote your offer you’re gonna be paying for traffic in either money or time. Now, let’s pop the big question: where do you find offers that match your traffic? The affiliate network acts as an intermediary between you (the affiliate) and the advertisers. Affiliate networks play a dual role in communicating with both parties to maximize sales potential and maintain high standards on both sides. They work on behalf of the advertiser to recommend offers to publishers and – on the other hand – help affiliate marketers source high converting offers for their campaigns. You’re gonna discover soon that not all networks are created equal and can specialize in different verticals and promotional methods. For example, you’re gonna find a network with a lotta health or dating offers, or networks focused on a specific type of CPA model, such as continuity offers or lead gen.
At Mobidea we’re all about mobile-based CPA and have over 2,000 top converting offers live on the platform, making us the most specialized network of this kind in the mobile marketing space. Always remember, tho, that an affiliate network is more than just a place you discover offers to promote. For many new affiliates joining a network is the end goal. However, in reality, you should view belonging to a network as the first step in a process that’s gonna enable you to get the most out of your CPA campaigns. You’ll also be able to directly benefit from the first-hand knowledge and experience of an expert team who want you to succeed. With many networks, you’ll be assigned your own personal network contact. Make use of this by speaking to your affiliate manager often about your campaigns and they’re gonna work with you to give you every chance of success. By now, I assume you’ve researched your vertical and chosen your offer and are working with a network who understands what you wanna achieve. Your next step is to determine which traffic source you wanna use to start promoting your offer. Before you go any further – check the fine print, bro! Are there any deal-breaking traffic restrictions to the offer you’ve got your eyes on? Finding these out before you start is gonna save you a lot of headaches and money! When in doubt, check with your affiliate manager who’s surely gonna walk you through all the available options. As you grow in your career, you’re gonna find out that some traffic sources convert much better than others. Spot them and dig deeper! Finding cost-effective strategies that you can measure and track is an essential part of your role as an affiliate. It’s also the reason why you should always test your strategies to find the best performing elements each step of the way. I’m gonna cover specific traffic sources you can tap into a bit later, but for now just remember that you’re gonna be using these sources to send potential customers to the advertiser’s page, so you wanna make sure that the quality of the traffic matches the offer. I promise this way of working is gonna prevent a lot of nasty situations down the line. You’re gonna have to be aware of the main players in the business – affiliate networks, advertisers, users, affiliates, ad networks – and understand where you fit in. We already covered the basics of Affiliate Networks, so now let’s look at the rest of the players. These are the guys with the tempting offers that you’re gonna promote. For more visual example, check Mobidea’s CPA offer wall. These are the customers! In technical terms – someone who’s a good fit for the advertiser and falls within a segment (Country, OS, Operator) that converts well for the offer. Choosing the right audience is an important part of the process and one that many affiliates overlook. Yeah, it’s true! People make rookie mistakes, and one of the reasons Mobidea Academy exists is to make sure you stay away from short-sighted decisions! By reading up on the detailed information in this CPA marketing guide as well as the other articles in the Mobidea academy, you can make sure you won’t fall into this trap! You are the next link in the chain. Your job is gonna be to present the offer to the user and pre-sell it to them. This is commonly known as CPA marketing around here at Mobidea. CPA mobile marketing is just like any other affiliate marketing model only focused on mobile offers and businesses targeting mobile web. With more than half of all internet traffic coming from mobile users and over 62% of smartphone users purchasing goods online on their mobile, it’s easy to see why mobile marketing is something no one should ignore. This is a fantastic opportunity for affiliate marketers to connect with and target mobile users when creating CPA campaigns. This type of marketing can reach potential customers at key decision-making points in their activities. As a result, there’s a world of opportunities open for affiliate marketers to engage with a new and rapidly expanding audience. It’s great news for all advertisers. It’s even greater news for you because now you can take this new world of opportunity and reach your target audience easier than ever before. In fact, if you’re not already using or thinking about using mobile marketing in your affiliate campaigns, you’re definitely missing out! First of all, you should make a difference between the different pricing models under which a conversion happens. 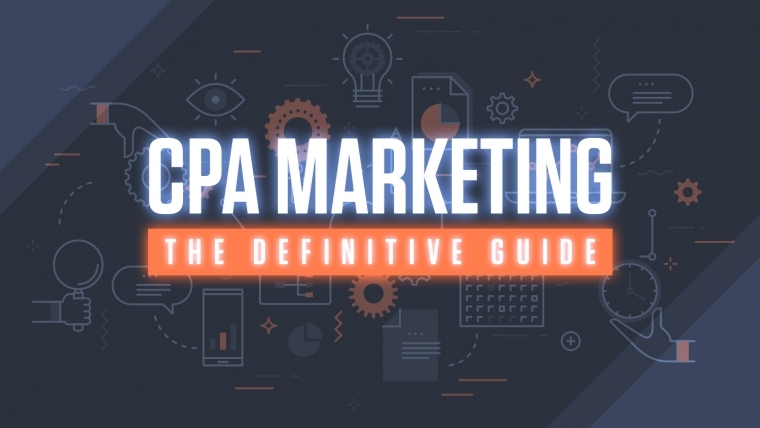 In this guide, I’m focusing on CPA marketing, but you can take a look at our article on different types of cost models to get a better understanding of how these fit together. CPA is generally a cost model that gets rewarded with high payouts from advertisers as they tend to generate higher quality traffic for the advertiser. As a result, it also makes the offer super attractive to a large number of affiliates in the CPA marketing space. To compete with these, you’ll want to find your edge. This can be a unique angle for promoting the product that your competitors haven’t thought of, or exploiting an untapped traffic source so you can be the first to market. Our buddy Charles Ngo has written a great blog post about angles, check it here. An important thing to note here is that to be successful with your campaign, you’ll need to qualify the traffic before passing it on. You need to sell your audience on what makes the offer something they simply can’t pass up on. Linking directly to the advertiser page isn’t gonna give you the results you want. Spend some time to think about the user at the other end. What motivates him to click or subscribe? How does the offer make his life better? Rule of thumb – always add value! How does the product I am promoting help the user? How can this product bring value to their life? Why do they absolutely need to have this product in their life, right now? Creating an air of exclusivity and expectancy is gonna play nicely into the buyer’s psychology. If you create a need you’re gonna get much closer to a conversion than anyone else. Launch campaigns with your buyer persona in mind! Thinking of yourself also helps – try to persuade yourself to take the action you are expecting from your audience. If you learn to do that well, you are on your way to CPA success. I’ve already mentioned the importance of choosing the right network to find your offers but let’s elaborate. If you’re just starting out, you’ll wanna choose a newbie-friendly affiliate network with a straightforward application process. There’s nothing worse than spending hours on your form only to get your application rejected. This happens more often than you’d expect and leaves new affiliates feeling as if they can’t pass the grade. Sure, it helps to have at least a basic understanding of how things work and have a plan, but that’s why I’ve written this guide, to give you a head start. When approaching a network, always be honest about what your expectations are and what past experience you’ve got. Many affiliate networks, such as Mobidea, will be keen to work with new affiliates if they have the right attitude. We’re always on the lookout for fresh talent, so if you think you’ve got what it takes, hit us up! You’re not going to be excluded simply because you’re not a super affiliate right away. From your own perceptive and security, you’ll also wanna choose a network with flexible payment options and great affiliate managers. Plus, you don’t wanna be paying for expensive trackers. Whatever your network can offer you for free can be of great help. Your main goal meanwhile is to focus on getting the volume you need to have a positive ROI and grow into the super affiliate you are destined to be! If you’re still in any doubt, get active on the forums. Grab an account at the STM forum and from there start to connect with the community. These guys are gonna give you tons of great advice and support – something you’re gonna have a hard time finding elsewhere. Once with the network, your next move is to find the best offers. Before you go rushing in like a kid in a candy store, review all the offers you’ve got access to. Is there anything that resonates with you personally? Promoting an offer you’ve got an emotional connection with is always gonna work in your favor more than promoting something just for the payout. Remember, you’ll end up working on your campaign for hours at a time, so it’s wise if you are actually interested in what you’re promoting. The other thing to be aware of is the decision-making process. Do you start with your campaign and then choose the offer of vice versa? While this is largely a matter of personal preference, our advice is to choose the offer first. Because this way you can be sure your campaign is always relevant to your audience, and that you don’t fall into the trap to continuously be swapping out offers for a page just to fit something there. It also gives you more creative freedom to sell with the right message. Take a good look around and keep in mind that the payout is only a piece in a big puzzle and shouldn’t be the only factor which influences your decision. Another thing to be aware of is the eCPM (or RPM), which is your effective cost per thousand impressions. This neat figure takes into consideration both your conversion rate and payout, making it one of the most important factors to look at when planning your campaign. For example, if the offer is performing particularly well on Instagram, create a story ad. If it’s killing it in CPA advertising on mobile, then buy inventory from the top mobile ad networks and traffic sources. Let’s talk more about traffic sources. I’ve already mentioned that different offers allow their own promotional methods and you’re also gonna find out that there are several verticals which tend to work best with specific mobile ad formats, so it’s usually wise to research on your own before building the campaign. So now, how about we take a closer look at what these specifications might be and where to purchase inventory. An ad network sells ad space to affiliates that it buys from a network of publisher sites, where your ads eventually run. Some ad networks might specialize in banner advertising, while other – in pop or push notifications so you gotta be aware of the benefits each traffic source can bring to your campaign before you actually start promoting. Let’s talk about the various forms in more detail, shall we? All of the types of advertising listed above are also applicable to mobile CPA marketing. There are different ways to reach people on mobile: pops, redirects, push notifications, native ads, banners / display ads, and more. Be careful with your eCPM tho! You might be limiting your results to mobile traffic only, while desktop might be converting differently for the same offer. So – if you’re running cross-platform, analyze each channel carefully. Many advertising networks work with a variety of formats so it’s relatively easy to find a match for your traffic and campaigns! Wanna know more about them and how to work with them on your campaigns? Read our article on mobile ad formats. Also, bro, and we can’t possibly stress this enough – test everything! There are literally thousands of ad networks out there and you’ll find some will convert much better than others. Push notifications are a relatively recent technology that has paved the way for new affiliate strategies to appear. They have exceptional reach and performance and are ideal if you wanna boost your customer acquisition. Additionally, all push notification traffic comes from real users. Meaning it’s bot-free guaranteed so you can measure performance more accurately. Add to this the fact that users tend to be more engaged with the message and you’re gonna see retention rates increase with up to 20%. They allow for a greater degree of customization and as delivery is instant, you can schedule campaigns to reach your intended audience at the times your message will be most effective. Plus, with developments in the push notification service, you can now reach users without an app, allowing for more freedom of delivery for performance marketers. Mobile pops are an innovative ad format which display in a new window either above or below the active window. For pop-unders, once the main window is minimized, users will be able to see the ad. Pop-ups are the reverse, with the ad having to be closed by the user to get back to the primary window. They’re an ad format currently trending in the industry and outperforming standard mobile ads on CTR, customer interaction and customer engagement. Pop-unders are less intrusive than pop-ups, but they are both valid in their own right and can perform differently depending on the traffic source and offer. They allow for compelling creatives and are perfect for app installs, free trials, lead generation, and mobile content offers. Tend to give higher CPM rates, making them an effective format for maximizing your ROI and profit potential. This format mimics the publisher’s own content and links to your landing page or offer. With display advertising, you buy inventory from publishers and use this ad space to promote your creatives. This is a powerful traffic type for mobile. A.k.a the traditional PPC (pay per click) where you pay a publisher each time your ad is clicked on. There’s plenty of platforms to test for this traffic, including social media advertising networks. A no-brainer when it comes to connecting with your audience on a daily basis. Affiliates track everything from offers to ad creatives, ad copy, landing pages, banner placements and conversions, and that’s just for starters! To run an effective campaign you’re gonna want to know which are your most profitable traffic sources, which offers are converting for you, and what your ROI will be. Fail to track these stats, and you’re gonna go downhill. Or your money, that is. Keep calm! We’ve got your back! For newbies, who are already overwhelmed by affiliate information and can’t afford a paid service, Mobidea created a tracker that is completely free to use. As you grow bigger and stronger your needs are gonna change and I totally understand that. The day is gonna come when you’re gonna need a more complex and fully featured tracking solution to track offers from various networks that you’re running. Then, check which is the affiliate tracking platform you like the most. Voluum is a leader in paid tracking software and is a great solution for CPA affiliates, agencies, and anyone who needs to keep tabs on each aspect of their campaigns. The tool has an incredibly intuitive interface and presents stats in an easy to understand way. It’s a must, in my modest opinion. If you made it till here – congrats! You’ve learned about CPA offers, affiliate networks, traffic sources and formats and how they all make up the affiliate ecosystem (well not the entire ecosystem but definitely the essentials). You’re pretty much ready for your first campaign! CPA marketing is an exciting business where new opportunities pop-up every day, but with them – so do the challenges. If you wanna make it big, you always gotta be expanding your knowledge and testing util you get the results that make you proud! The shiny side of being an affiliate is that you’re gonna be working your own hours. You don’t need a website! It’s a business that allows you to bring whatever skills you’ve got into play. You don’t need a ton of cash or even design knowledge to deep-dive and find your sweet spot. You’re passionate about social media? Use that to connect to the right people on the right platform. Whatever your flex is, just remember: Focus. Testing. Data. Those are the three magic words of affiliate marketing. CPA affiliate marketing is gonna push your boundaries, enhance your skill set and ultimately – get you closer to the life you wanna live.